R.A. Malatest & Associates Ltd is Malatest International’s sister company and provides customised research solutions to meet the diverse needs of a range of clients. From in-depth programme evaluations to client satisfaction studies, they design and implement a project that will provide actionable results. Click here to visit the R.A. Malatest & Associates Ltd website. Dianne has 20 years’ experience working Alcohol and Other Drug and Problem Gambling fields within the community, having worked extensively across the Auckland region, the last 10 years predominantly with wahine Māori and Whānau in Tamaki ki te Tonga. Dianne has the following Iwi affiliations: Kāi Tahu, Kāti Mamoe and Waitaha. A Kaupapa Māori practitioner/researcher with over twenty years in te reo Māori and tikanga practice experience in education, visual and performing arts, addictions, public health, research and data collection with Māori providers. Natalie brings more than a decade of research, evaluation, audit and advisory experience spanning the areas of health, social policy, justice, education and employment issues. She helps clients to: determine needs (eg needs assessment, sector studies) and validate a rationale for moving forward; optimise the design, implementation and management of policies, programs or new legislation; design evaluation plans and performance measurement frameworks; measure outputs and impacts (results) of policies, programs or new legislation; conduct cost-benefit or cost-effectiveness analysis as appropriate; identify practical recommendations for the future. Sean leads organisational turnarounds and transformation by building a track record on immediate results. His approach involves using a proven process to train and lead internal client teams that design and implement change while building executive leadership skills. This approach helps clients remove their own barriers to change, build momentum and sustain change with the appropriate structure, skills and discipline. 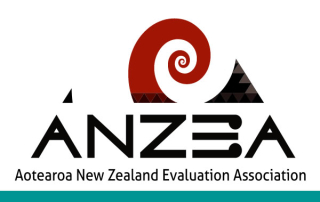 We are proud members of the Aotearoa New Zealand Evaluation Association (ANZEA). ANZEA is a professional body specifically for people who work with, are involved with, or who are interested in evaluation in New Zealand. ANZEA promotes and facilitates the development of evaluation practices and standards which are relevant to Aotearoa New Zealand, with particular reference to the principles and obligations established by Te Tiriti o Waitangi and reflecting the unique bi-cultural context of Aotearoa New Zealand, while also providing a framework from which to embrace and respond to multi-culturalism.